A powerful, portable butane refillable torch. 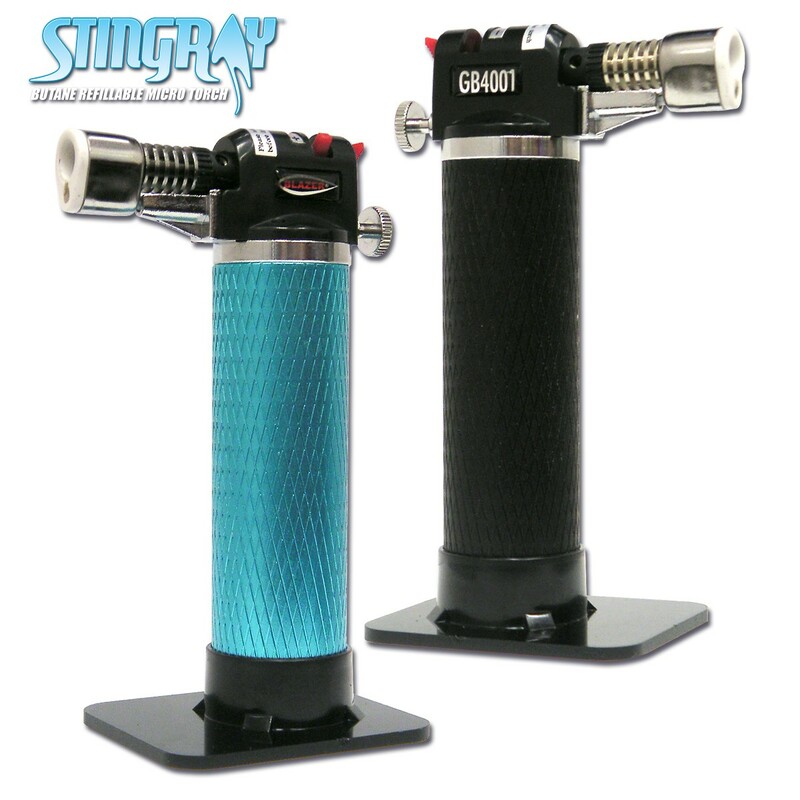 The Stingray features a high quality anodized finish, gas flow adjustment lever and sturdy base for hands free work. 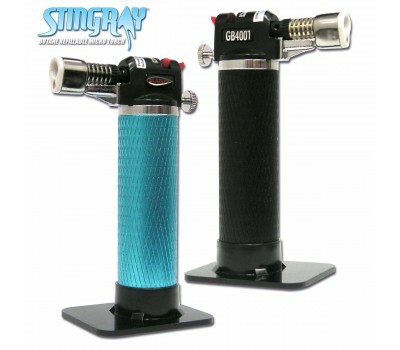 The Stingray's 2500ºF Flame and instant ignition system makes this tool a must have for any professional repair job. Solder, melt adhesives, caulking, sweat pipes and more with this handy tool. Available in 2 great anodized finishes: Black and Blue.